Today is International Podcast Day! When I started doing my pod in 2009, there weren't many out there, but now there are a lot! In honor of this day, I will be referring to a few pods in this post (being informative yet self-promotional) starting with the freshest: this week I posted a new interview with Bill Cochran, whose voice you've heard all over the airwaves, for years on WNUA and online Smooth Jazz, and most recently on MeTV-FM. But he also does and talks about a lot more! Very interesting guy. The major news is Jason Skaggs' (who* I interviewed) departure from Chicago radio to Houston, Host of Hurricane Harvey (deliberate alliteration there). Jason was the Commercial Manager at WGN and is going to be Production Director at Cox Media Group. 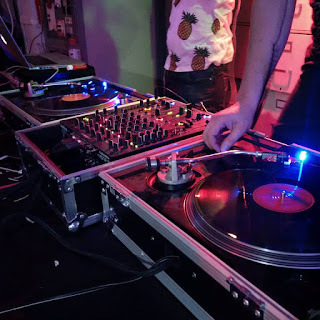 I often say this in various places online and off, but to reiterate: the best time I've had in radio (not that it's still not fun) was working for and filling in for Jason. Actually, it was one of the best work experiences I've ever had (I described that plus more at my non-media blog). And another major promotion is Ken Jennings (who was a guest when my pod was in its infancy), who went from mere Studio Crew (like cameraman, cake presenter, etc.) at Big Ten Network to Studio Operations Supervisor. He's also a huge Ohio State fan, so if your Big Ten team is playing the Buckeyes, watch out! 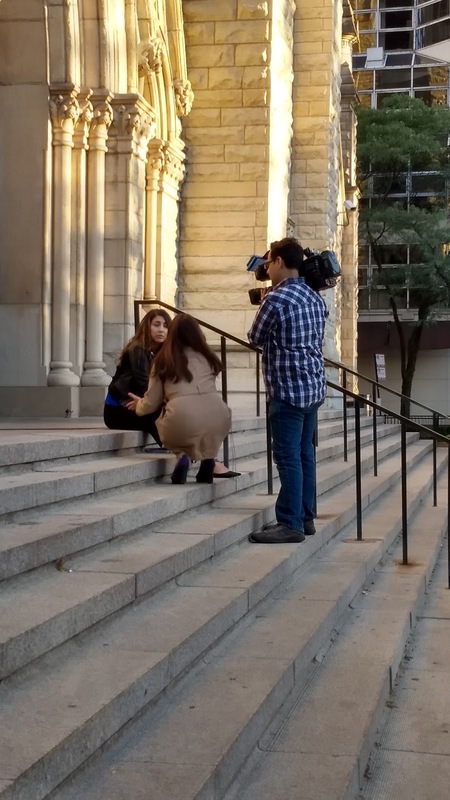 Now you're probably wondering why I'm not mentioning International Translation Day at this point...well here's a media representation to honor it: a reporter and cameraman from Telemundo interviewing someone outside Holy Name Cathedral, where they had a special mass for victims of the earthquake in Mexico. I didn't stick around long enough to try to understand what they were saying. And as we're on the brink of October, I have a special essay/reflection written by Accuweather's Elliot Abrams. You've probably heard him for years on WBBM (and throughout the country). Not only is he very knowledgeable about weather, but he's totally into radio (he co-founded Accuweather's radio service) and is a dynamic person with varied interests and a quirky sense of humor.